Are you fuelling your body with the right foods before, during and after training? By building some healthy eating habits you will help ensure you’re fit and ready for the cold, dark months of training. Winter endurance training demands a lot of energy from your body and it’s all too easy to underestimate your needs. I still see a lot of athletes fuel up on sugary snacks and drinks instead of a well-balanced meal. When this happens, your body doesn’t get the proper energy, nutrients and fibre that it needs to perform at its best. Instead of getting stronger and faster, you’ll find it harder to recover after workouts and become more susceptible to illnesses and injury. 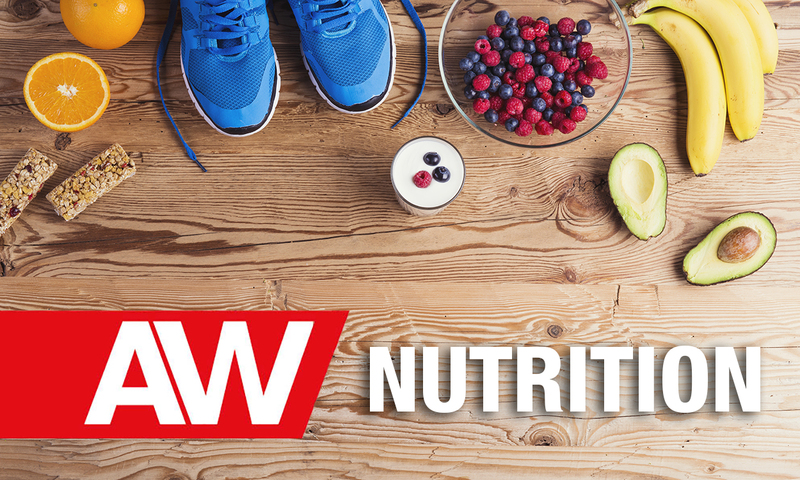 Focus on nourishing your body with nutrient-packed foods that will support your training plan. Replace highly processed foods with wholesome, unprocessed foods, such as fruit, vegetables, whole grains, nuts, seeds, dairy products, lean meat and fish. As you step up your training volume, you’ll need to eat more calories and carbohydrates to support your training. Carbohydrates remain the body’s preferred fuel, especially during hard training, and can be easily accessed for energy soon after consumption. Carbs also allow the body to burn fat for energy so some carbs are needed even for easy runs. I always advise fuelling for your workout, eating more before long, hard sessions; less on easy or recovery days. For moderate or high-intensity sessions longer than an hour, aim for roughly 5-7g/kg a day. If there will be a gap longer than 3-4 hours between your last meal and your workout, have a high-carb snack (such as a CLIF Bar Energy Bar, a banana or some dried fruit) and a drink 30-60 minutes before your run to ensure you have enough energy to complete your workout. You should drink to thirst. As a guide, aim for 400-800mL per hour (if exercising longer than 30min) but adjust according to how much you sweat. Also, when you exercise more than 90 minutes, you should consume 30-60g carbs every hour from about 60 minutes onwards (which equals 1-2 carbohydrate energy gels or four products such as CLIF BLOK Energy Chews). Recovery meals and snacks should contain carbohydrate (for energy), protein (for muscle repair), and plenty of fluids and electrolytes to replace sweat losses. Try to eat soon after finishing your workout, remembering that recovery nutrition extends well beyond the initial hours after your workout. If you plan to exercise again within eight hours, then take advantage of the two- hour ‘recovery window’. Otherwise, simply eat your usual meals at regular intervals throughout the day. If there will be a gap longer than two hours between your run and your next meal, then consume a snack. Suitable post-run snacks include a CLIF Builder’s Protein Bar (which has 20g protein), 500ml of milk, a recovery drink, or 250ml strained Greek yogurt with fruit and nuts. If you plan to do a session early in the morning before breakfast, you may find that a small high-carb snack (such as a CLIF SHOT Energy Gel, a banana or a slice of toast and honey) and some water 15-30 minutes before you exercise useful. It will raise your blood glucose levels and increase your endurance and performance. Caffeine can really boost your training. Research shows that caffeine before exercise can improve your performance by reducing the perception of effort and helping you keep going longer. The optimal amount is around 3mg/kg of body weight (that’s 195mg for a 65kg athlete), equivalent to a double expresso. If coffee isn’t your thing, try an energy gel with caffeine containing 25mg. You can take caffeine before a session or race for an early boost, or mid-way if you want an energy boost for the final stages. Everyone has an individual response to caffeine so make sure you experiment in training before using it in a race. Gastrointestinal upset (including the ‘runner’s trots’) during hard runs is common among distance runners. Many athletes prefer to run on an empty stomach, but you can train your gut by regularly eating carbohydrate foods or drinks during training. Start with very small amounts then gradually increase the portion and frequency. Avoiding high-fibre foods before hard training sessions may also help reduce symptoms. If you train more than three times a week at a moderate or high intensity, then you’ll need more protein. This extra protein helps to repair and build muscle cells damaged during hard exercise. Aim to have between 1.2 and 2.0g per kg body weight a day (that’s 78-130g for a 65kg athlete). Target 0.25-0.4g per kg of body weight at each meal (older athletes need more than younger athletes), which equates to 16-26g for a 65kg athlete.